On this week’s podcast you will hear about the miss-adventures of Westley who suffered terrible abuse at the hands (and other appendages) of the pirate crew that he served. You will also hear about how this led to Westley becoming White Zorro who has a Rolodex of go-to crimes of oppression that he wields against the “lesser races” in an attempt to maintain the status quo of “white evilness”. 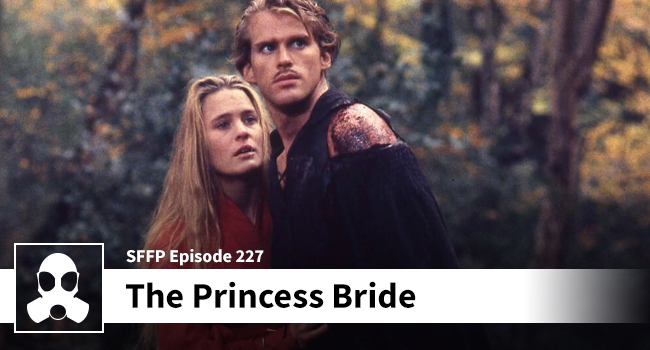 Matthew and Dean also discuss the reality of Buttercup’s decision to run around with a poor farm boy versus marrying a handsome and accomplished prince who owns several people and a castle. At some point the lads get into the actual film and their fondness for it all these years later.